Please join us at Arts Court for the most exciting live arts event in the country! 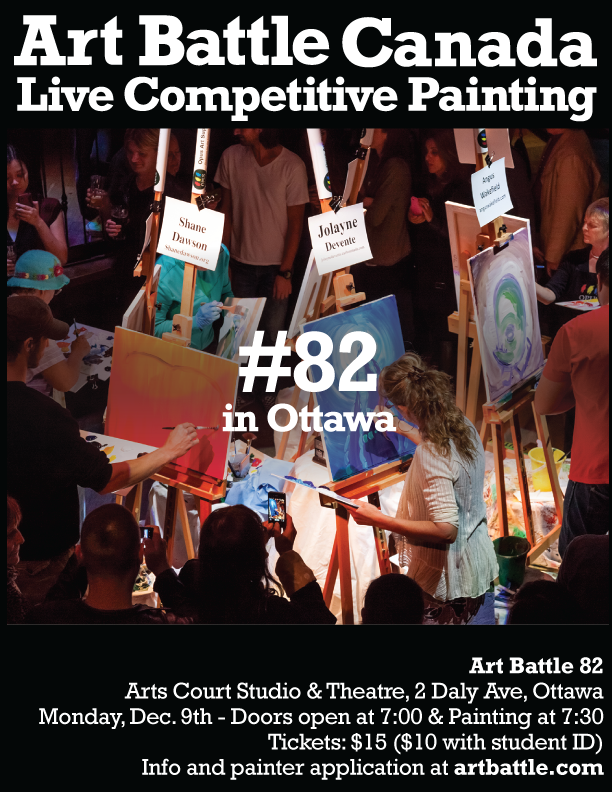 This is Art Battle Canada’s first full season in Ottawa and we are so impressed with the painters and audience in the Nation’s Capital. You have shown amazing spirit, given the loudest cheers and we can’t wait for the next event! Congratulations to Jordan Meekis, winner of last months Art Battle 73 – Ottawa!